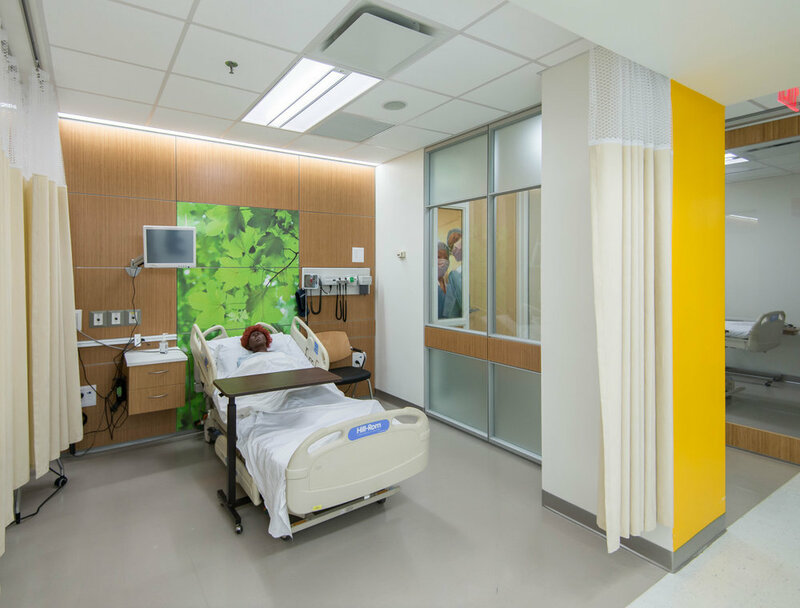 The original program for this project proposed renovating approximately 6,000 square feet of the main level of Mercy’s SW Wing into physical and virtual simulation labs to support its Health Professionals Department. During the programming phase it was determined that the space requirements for the departments required more footprint than was currently available within the existing buildings on the campus. NK’s innovative solution made use of an existing gymnasium in order to expand the space available for this program. By creating a new floor level in the two-story gym, and by consolidating a number of departments, we were able to triple the area of the original project. In addition to meeting all of the program needs of the Department, the project was built under budget. 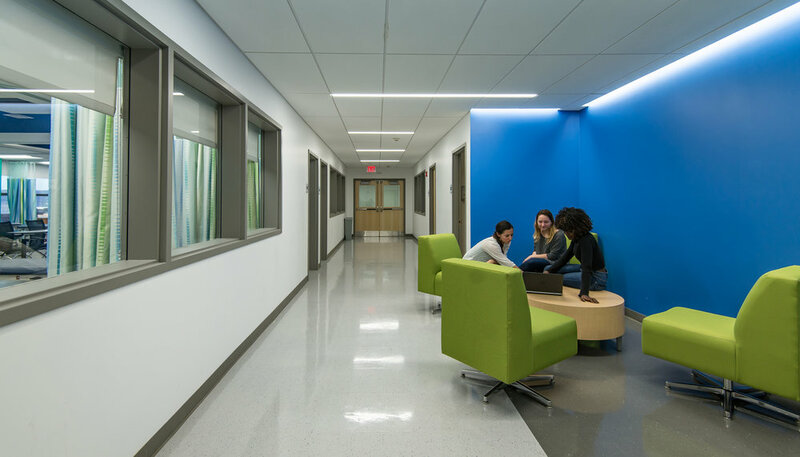 The new School of Health Professions now combines the original Nursing Department, Physical Therapy and Occupational Health programs into one collaborative learning environment.